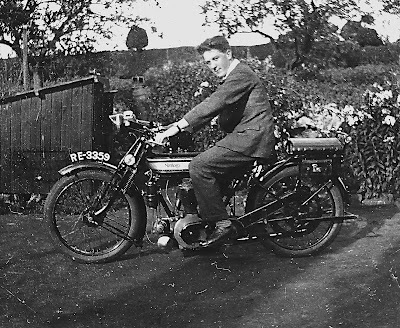 -JdK- Robert in the UK sent this photo: "... an elderly aunt has just given me some photos of my grandfather siting on his motor bike ..." The motorcycle is a c1924 Model 16H Norton. -Martin- Further information from the Staffordshire Record Office. 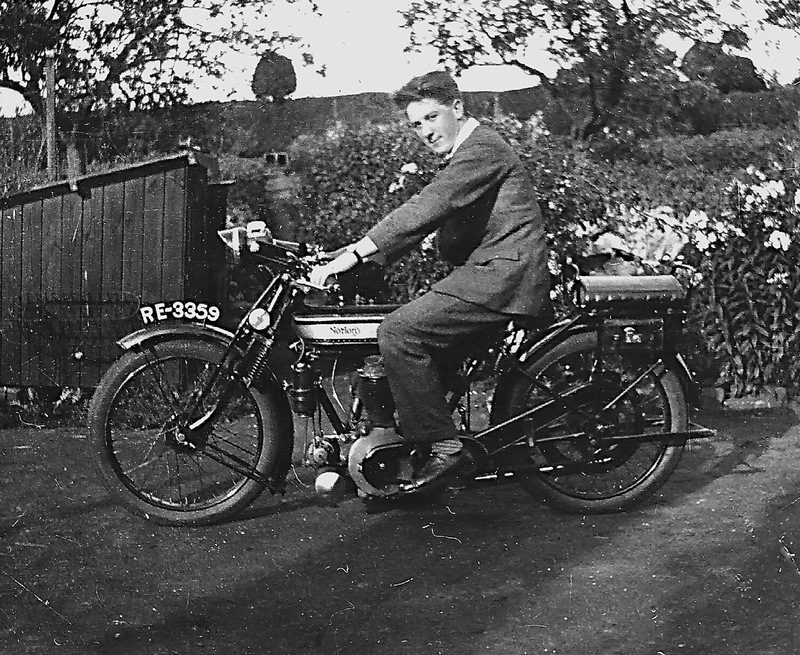 The helpful lady said "I have looked at the register of motorcycles and it is the shape and size of a school exercise book. For RE3359 the details are as follows: Date of registration: 30 April 1925. Name of registered keeper: Ambrose Jones (nb, in small writing next to the name there is another date 4 April 1925. None of the other entries have this second date). Place: Brereton, this is near Rugeley"